Conservation problems are complicated. The successes made today can dissolve tomorrow. While it is easier to adapt to local changes, what about the bigger political and economic forces that are rapidly altering the way we view and value nature? In my own experience of researching the fishing cat for almost a decade, I realised how development policies threaten it by simply categorising its habitat—wetlands as “wastelands”, to make acquisition easy for agriculture, aquaculture and urbanisation. Each year till 2030, a city the size of Chicago will be built in India to meet the demands of the growing populace. Where else will the space come from if not from the “wastelands”? 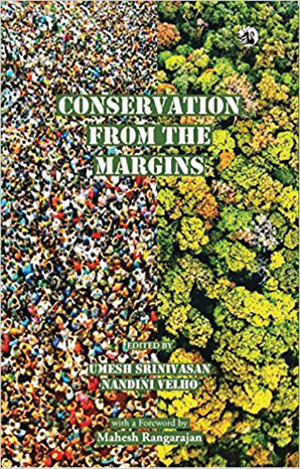 The book, Conservation from the Margins, shows how globalisation-induced changes are becoming a prominent threat to diverse species in India. It is a collection of nine essays by conservation scientists and practitioners working in the fields of ecology, anthropology, sociology and economics. Each essay provides an insight while highlighting issues invisible to mainstream consciousness—those of overlooked species, ecosystems and the co-inhabiting human communities, often historically marginalised. For instance, big dams like the Farakka Barrage have wreaked havoc on the Gangetic river dolphin by reducing fish stocks prodigiously and disrupting traditional fishing practices. Nachiket Kelkar studies these remarkably resilient cetaceans as their survival intersects with fresh social conflict, unfolding since globalisation, over scarce fish resources. Everyone tussles to get the coveted government ID cards to fish legally. The fish mafia barricades the river with nets that decimate the future fish stock. Although some fishers understand how the river, fish and dolphins are suffering, they are forced to adapt their identities and change their “ecological” values, cutting off the last social threads to the dolphin. 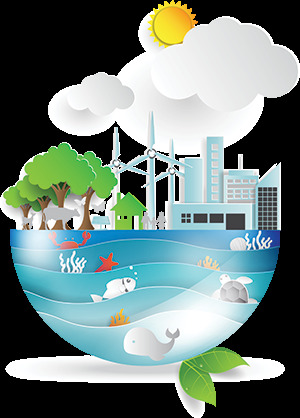 From freshwater ecosystems to marine spaces, accelerated resource exploitation is pushing dolphins, turtles, sharks, rays, guitarfish, sawfish and wild fish populations to the brink and is also disrupting traditional and ecological practices. Divya Karnad’s essay flags the inadequacies of the legal framework in fisheries management and is germane. Lack of uniformity when it comes to states’ rules and regulations make it worse. If you are banned from fishing in Kerala’s waters, for example, you can migrate to the waters of Maharashtra to fish and no one could stop you. And the fisheries department is not even authorised to the arrest culprits. Coordinating with the marine police within territorial waters and coastal guards in the contiguous zones is a cumbersome process. Karnad also cautions against the top-down implementation of laws and advocates recognising the value of traditional egalitarian fishing societies and their sustainable customs. After all, such customs have evolved since the Stone Age and are undoubtedly far better in understanding the aquatic world. In the context of the importance of public relation skills among government officials, the article by S E H Kazmi is an eye-opener. Kazmi was the Divisional Forest Officer of India’s first and perhaps its unluckiest tiger reserve—the Palamau Tiger Reserve in Jharkhand. A beacon in the dark, Kazmi earned the trust and respect of ultra-left political activists and tribal forest-dwellers. His moratorium had deterred the hydro-electric dam in the reserve that could have drowned the forests and people. Unfortunately, he was reprimanded as an anti-national sympathiser and obstructionist by the State. Sutirtha Dutta, an expert on the Great Indian Bustard (GIB) with the Dehradun-based Wildlife Institute of India is bold in his assessment of the primary threats to the Bustard’s existence. His essay comes alive with two characters, first the nomad pastoralist, unwilling to barter his freedom for a daily wage and GIB, already bartered for “development”. Both are “aliens” in their own land as the once extensive grasslands have now been reduced to bread crumbs. “Development” has modernised these “wastelands”, at the cost of 20,000 million hectares of grasslands between 1980-2010 and caused the breakdown of traditional systems that managed natural resources. This review would be incomplete without a word on the two remarkable essays about conservation problems in the Northeast by Umesh Srinivasan and Nandini Velho. Ivory and timber in Assam’s forests is being ravaged by an ongoing war. Yet any attempt to build a conservation movement is thwarted in its embryonic stage. Meanwhile, market forces are influencing hunting customs and the distinctions between subsistence and commercial hunting are evaporating. The book also deals with the fatalistic scale of organised poaching. Automated weapons, night vision goggles and helicopters maximise success of the traditional methods. With 1,000 per cent return on investment, illegal wildlife trade remains a formidable challenge to conservation practitioners. The essays are based on rigorous science and lucid anecdotes. The book should definitely be included in graduate and post-graduate courses on wildlife and conservation in the Indian academia. Not only does one get to know what ails conservation in India but the scenario is relevant for Latin America and Africa—developing economies populous with rich biodiversity. For these reasons, the book is highly recommended for conservation practitioners and wildlife enthusiasts.